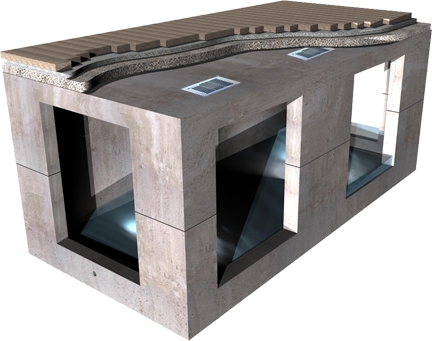 The PermeCapture system is a combination of Belgard permeable interlocking concrete pavers and the StormCapture modular, structural precast concrete storm water storage facility used to reduce peak flows and provide runoff reduction at the source. 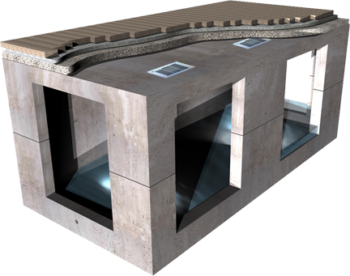 Permeable interlocking concrete pavers are used to filter storm water as it falls on the permeable surface and percolates down through the pavers and into a series of structural precast concrete StormCapture modules below for controlled management. PermeCapture applications include storm water infiltration, retention and detention. Its modular design allows for site-specific configurations while providing large storage capacity in a small footprint, with traffic-rated loading capabilities. PermeCapture provides a stand-alone, maintainable, green solution for total storm water management. PermeCapture systems are ideally suited to heavily developed sites that need to meet Low-Impact Development (LID) requirements and store a substantial volume of storm water runoff from rooftops, adjacent parking lots and more. PermeCapture allows designers to maximize developable land while minimizing environmental impact. As with any storm water treatment system, PermeCapture requires regular maintenance to prolong the life of the system. Routine maintenance includes periodic sweeping and removal of surface trash and debris. Frequency of maintenance depends on the conditions of the site and performance of the system. Easy maintenance with vacuum sweeping and manhole access into the large storage modules. 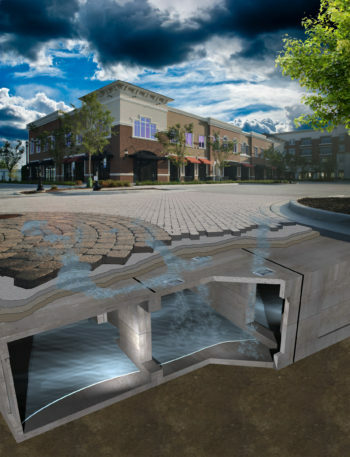 Minimizes the need for conventional stormwater collection methods by allowing water to pass directly into below grade storage. Permeable pavers reduce impervious surface on-site. System provides an option for infiltration and groundwater recharge. 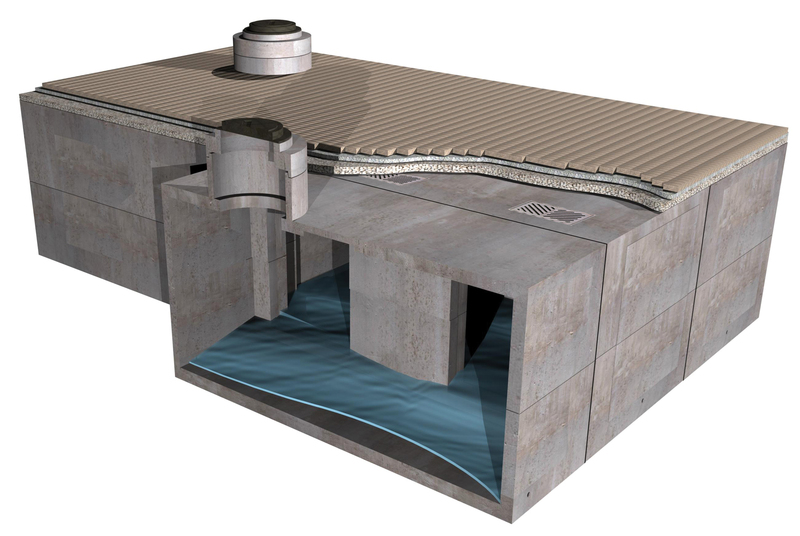 Provides capture and harvesting or infiltration of stormwater on-site. Belgard® pavers enhance the aesthetic quality of the site and can be incorporated into any design. Low maintenance design reduces long-term maintenance and lifecycle costs.